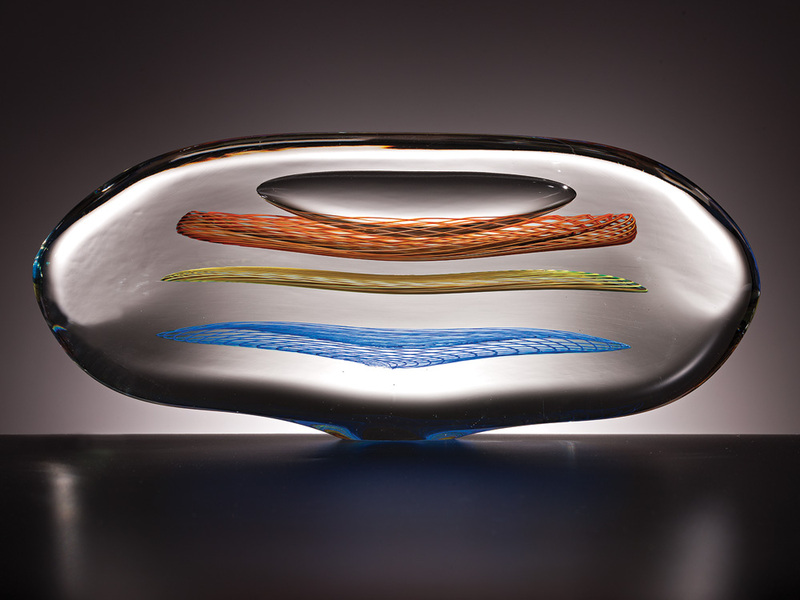 Lino Tagliapietra has been captivated by glass from his earliest years. At 80, his passion still knows no bounds. 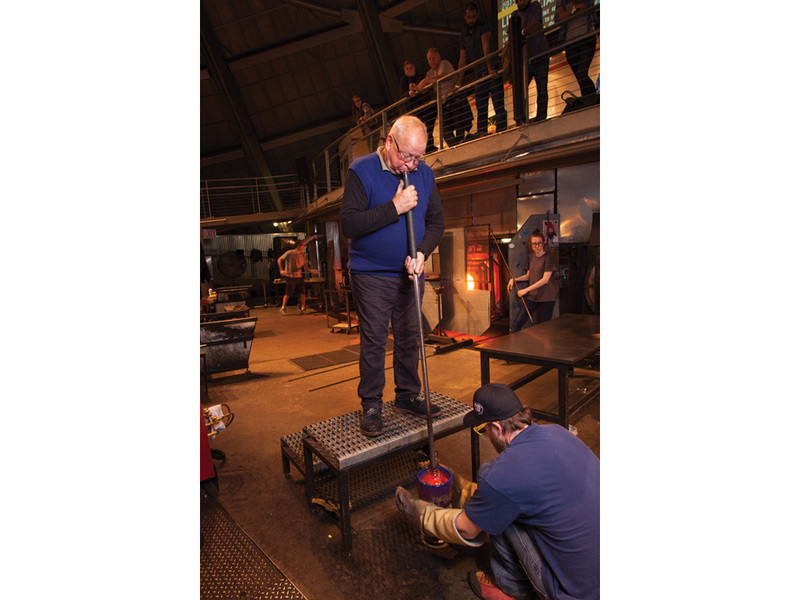 It’s often said that Tagliapietra is the best glassblower in the world – indeed, one of the best in history. 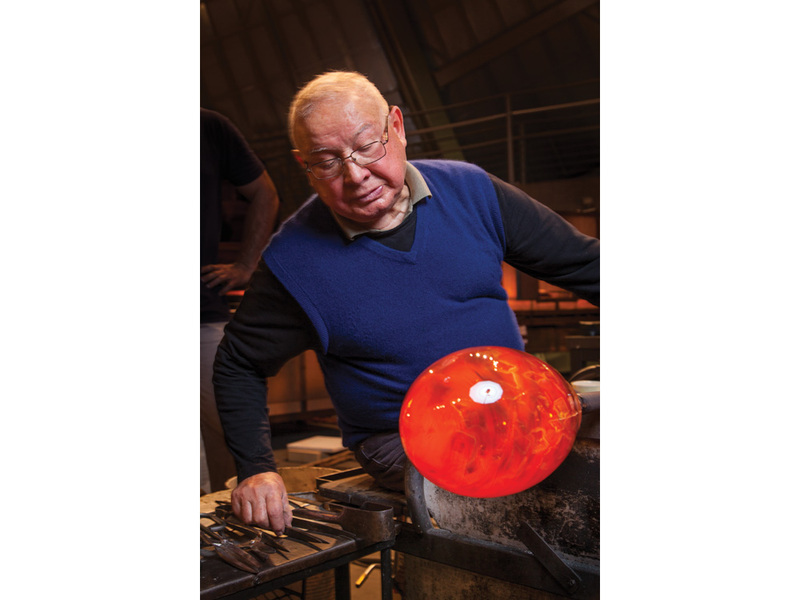 His surname means “stonecutter,” but he was born to blow glass, as a native of Murano, the fabled home of Venetian glassmaking since the 13th century. His story, by now, is legend. Eternally fascinated by glass – as a child, he’d build little furnaces out of mud and bricks, light a fire and melt glass bits for fun – he began working in local factories at the age of 12, was apprenticed to master blower Archimede Seguso, and attained the status of maestro (literally, “master”) himself at 21. 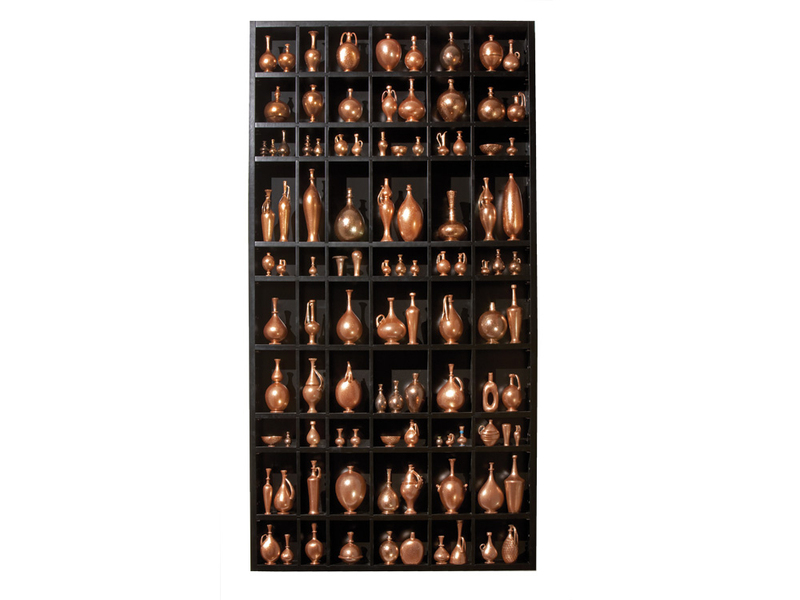 Throughout the 1960s, ’70s, and ’80s, he had a successful career designing innovative lamps, vases, and other products for various Muranese companies, including Galliano Ferro, Venini, and Effetre International. Then at midlife, almost by chance, he embarked on an extraordinary second act. 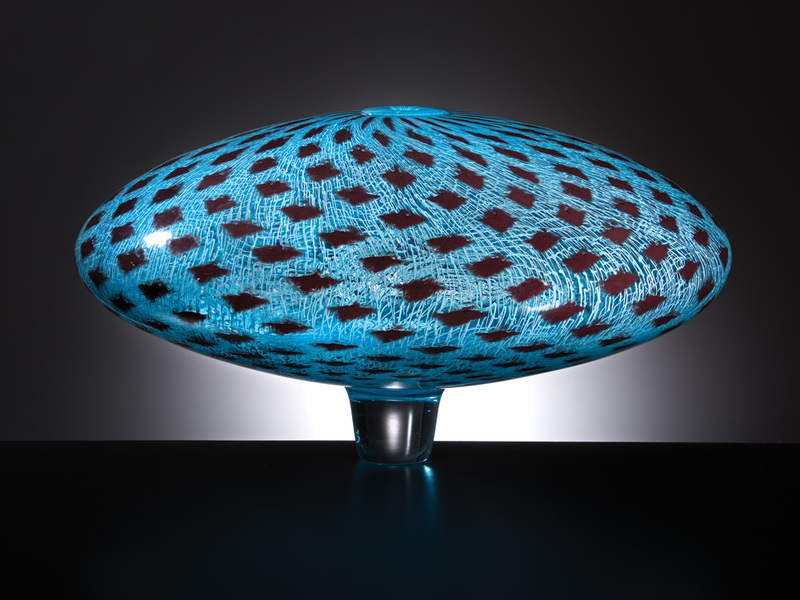 He became not only a celebrated independent artist, but also a teacher and mentor whose influence is so profound, so widespread, that he is regarded as a pivotal – some say the pivotal – figure in the contemporary glass art movement worldwide. In short, Tagliapietra is a rock star in the glass world, one not content to play only his old hits. 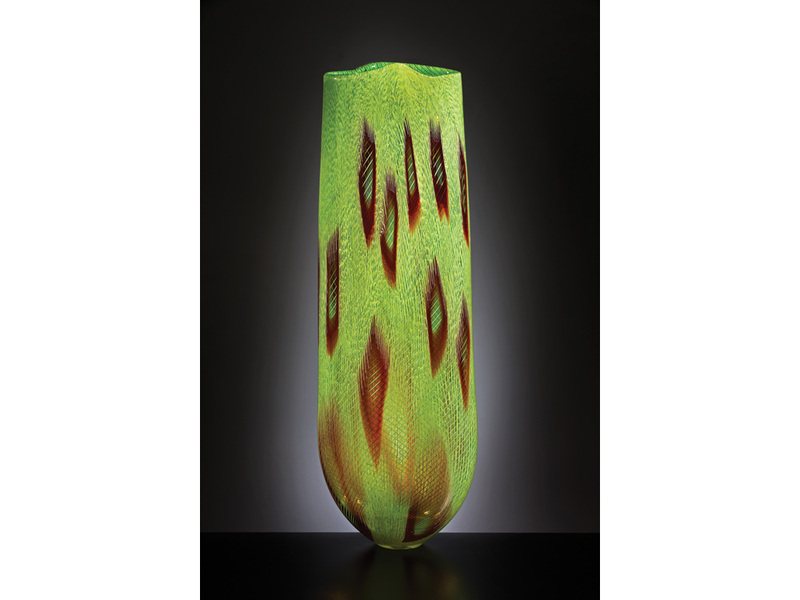 He still brings an unbridled enthusiasm to his work, using his command of centuries-old techniques to create sensuous, sculptural blown forms, full of vibrant color and pattern. 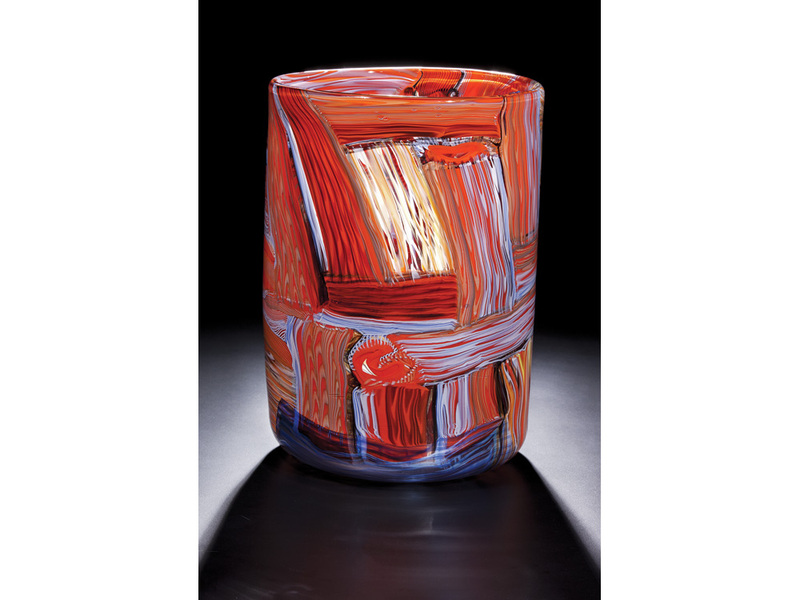 Then, in 1979, he met a young American glassblower named Benjamin Moore, who had come to Murano to work at Venini. 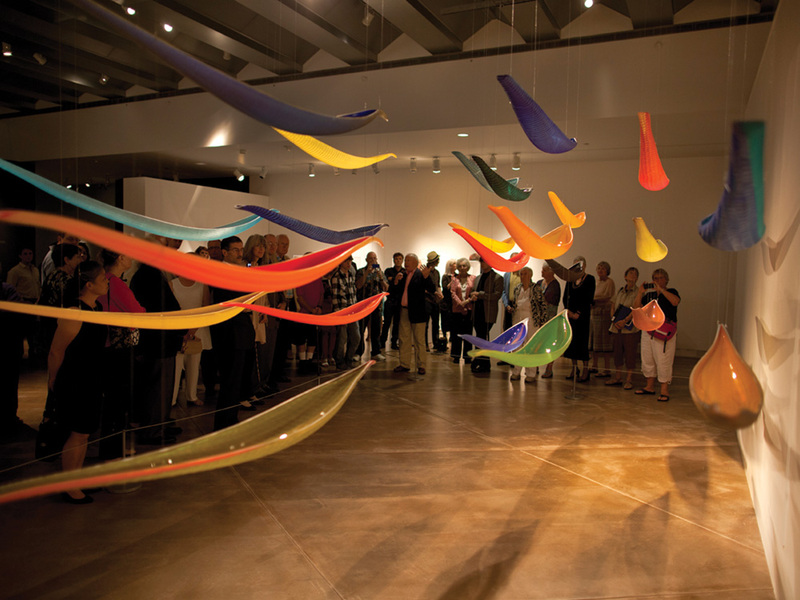 Moore arranged for Tagliapietra to travel to the United States and give a demonstration at the Pilchuck Glass School north of Seattle, the center of a vibrant but still nascent glass art scene. 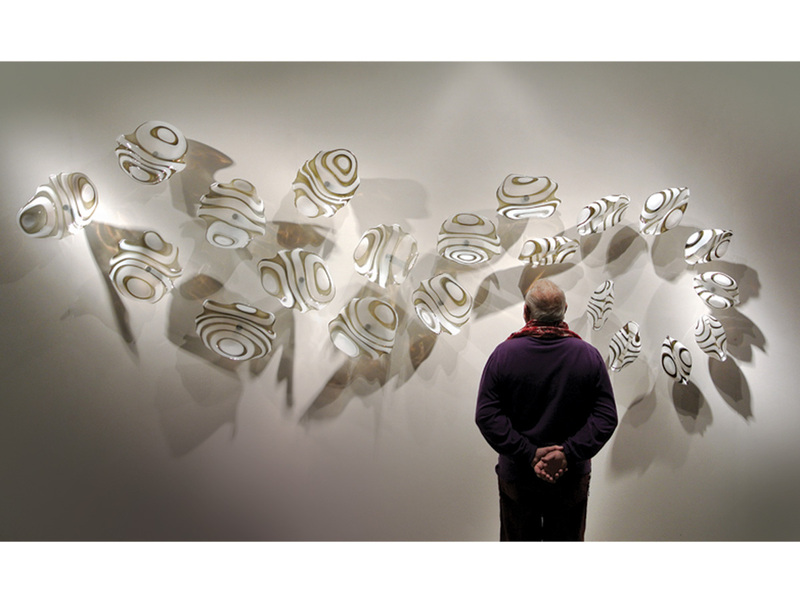 At Pilchuck, the Americans watched, dazzled, as Tagliapietra put on a stunning display of technical wizardry. “To see someone with that insane command of the material – the speed and virtuosity and finesse, working on a very small, delicate level as well as doing huge, massive things – was just mind-blowing,” Moore remembers. While Tagliapietra empowered the Americans, their free spirit inspired him. Soon he was spending more and more time in Seattle. He expanded his travels and teaching to Asia, Australia, and South America. 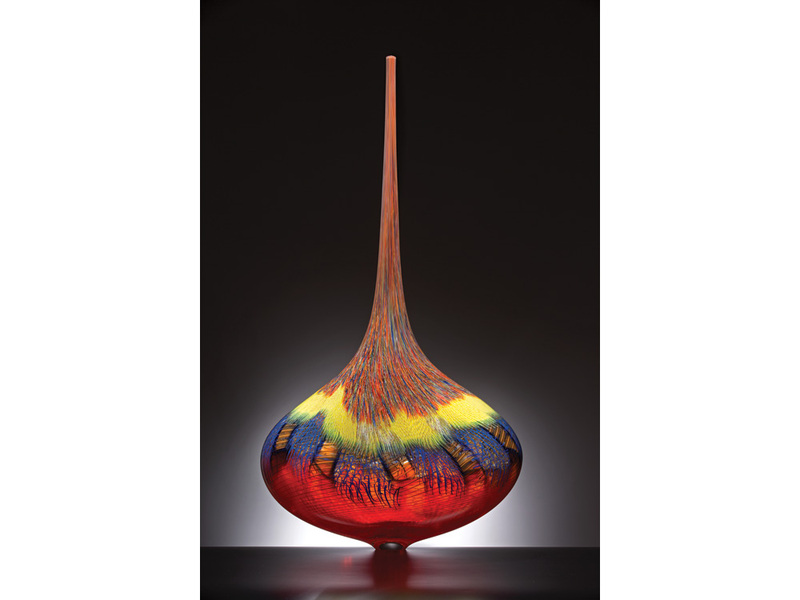 Starting in 1988, he worked with Dale Chihuly on the latter’s famous Venetians, a series of elaborate, colorful blown forms that paid homage to art deco Venetian glass. 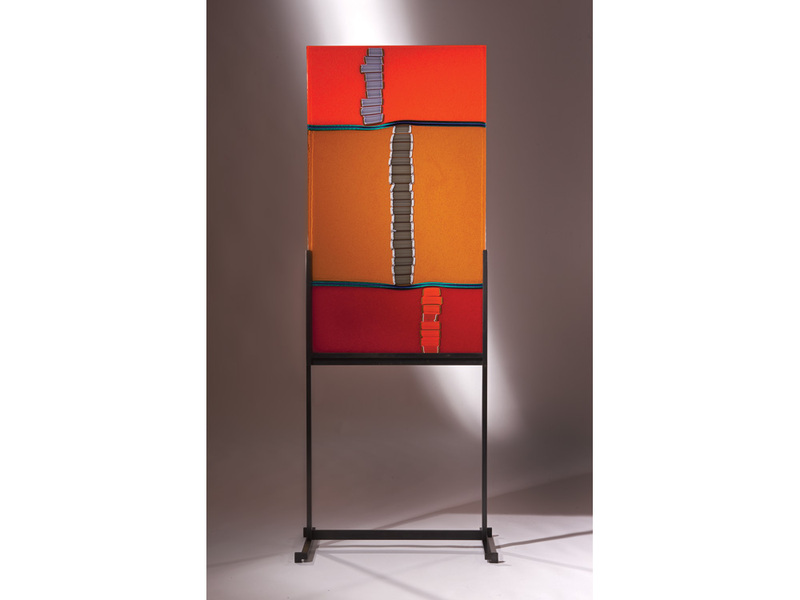 He began to envision a more artistic, expressive direction for himself, as well as a potential market for such work. 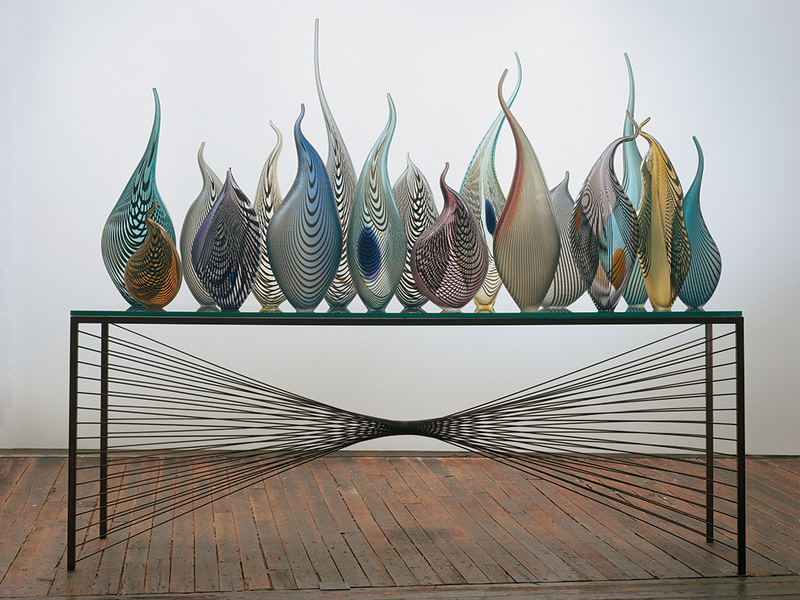 By 1990 he had left Effetre, where he had been artistic and technical director since 1976, and was ready, as Moore puts it, “to bust a move.” Tagliapietra realized his old mindset of “designer-thinker” – creating objects to be manufactured in multiples, with the constraints that entailed – no longer served his purpose. So he made a bold personal decision to change his approach and make one-of-a-kind pieces. And it has been, he reflects, a “very good life.” He and his wife of 56 years, Lina, the daughter of a prominent Muranese glass family, split their time between an apartment in Seattle and a modern house on the water in Murano. (Their three grown children reside in Italy, and none blow glass.) “I live in Seattle when I’m in Seattle, and I live in Venice when I’m in Venice,” is how Tagliapietra puts it, not counting his frequent travels. 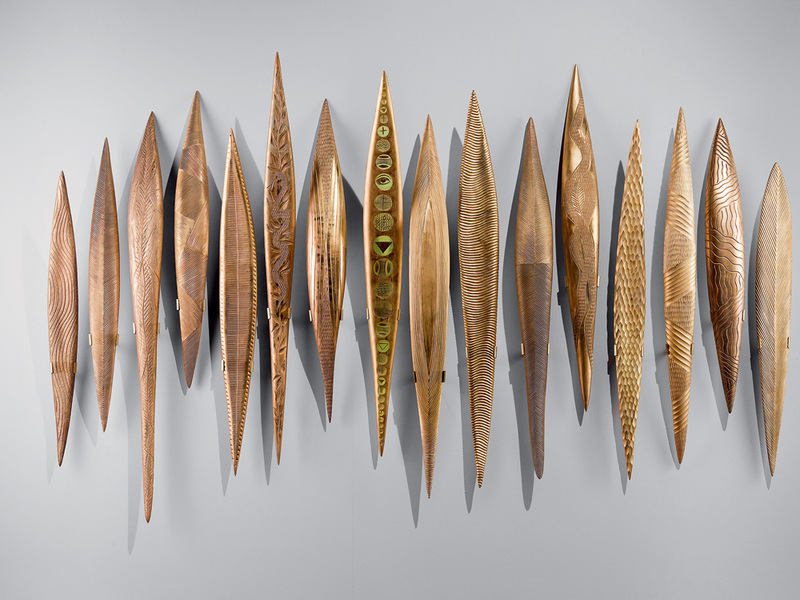 He makes his pieces at various studios around the United States – “I feel grateful, very good working here. I have a good team, nice people, really fantastic” – and during his guest demonstrations at hotshops around the globe. When he’s not making glass, he’s often reading about it. “I have a thousand books. I like Roman glass, Islamic glass. I like the history of glass, because I feel if you know the past, you will know the future. 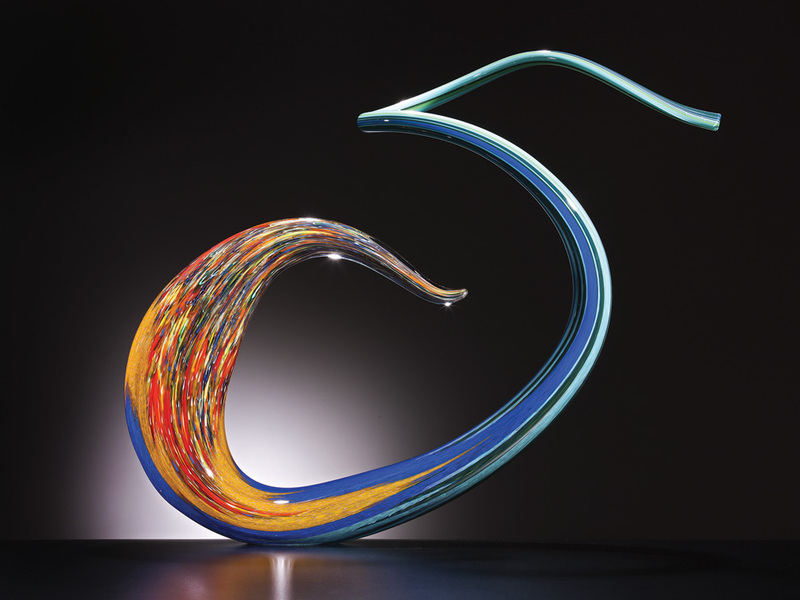 To make new things, you must know the old things.” At events like the annual Glass Art Society conference, he enjoys the camaraderie and dialogue and new work, loves seeing what a vibrant, important art medium glass has become. 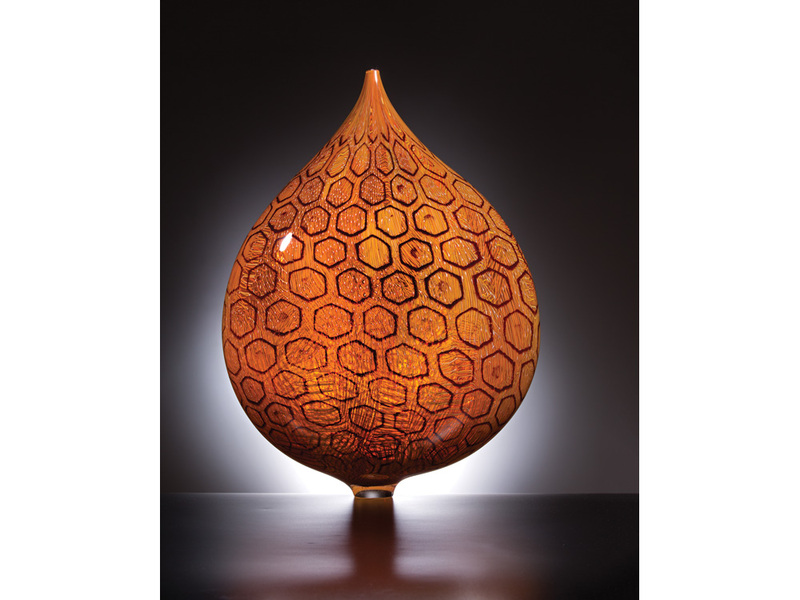 He’s a fan of all craft forms, especially wood, and owns several vessels by the late Ed Moulthrop, the noted woodturner. After a lifetime in glass, after decades of achievement and acclaim, Tagliapietra clearly still feels that love. But does he feel satisfied?